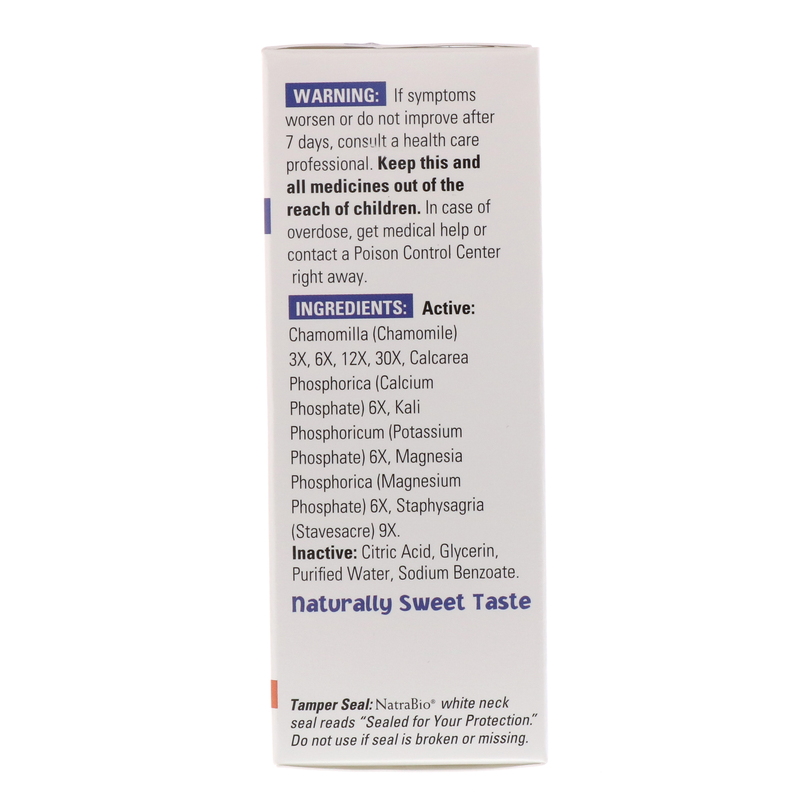 NatraBio is dedicated to producing innovative health product formulated and manufactured to pharmaceutical standards. 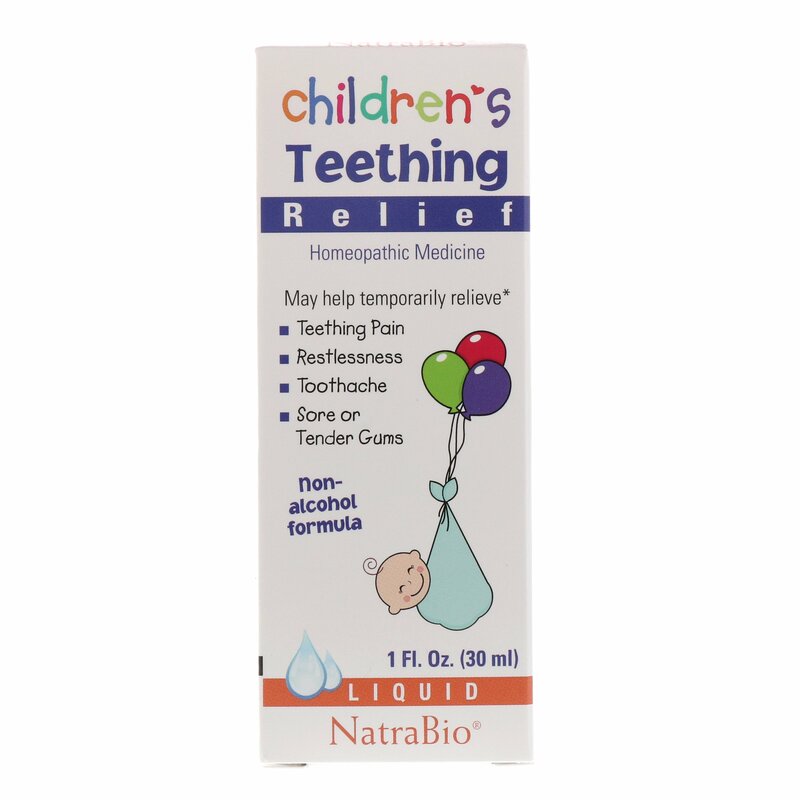 Indications: For the temporary relief of the symptoms of teething pain, restlessness, toothache, sore or tender gums associated with teething. 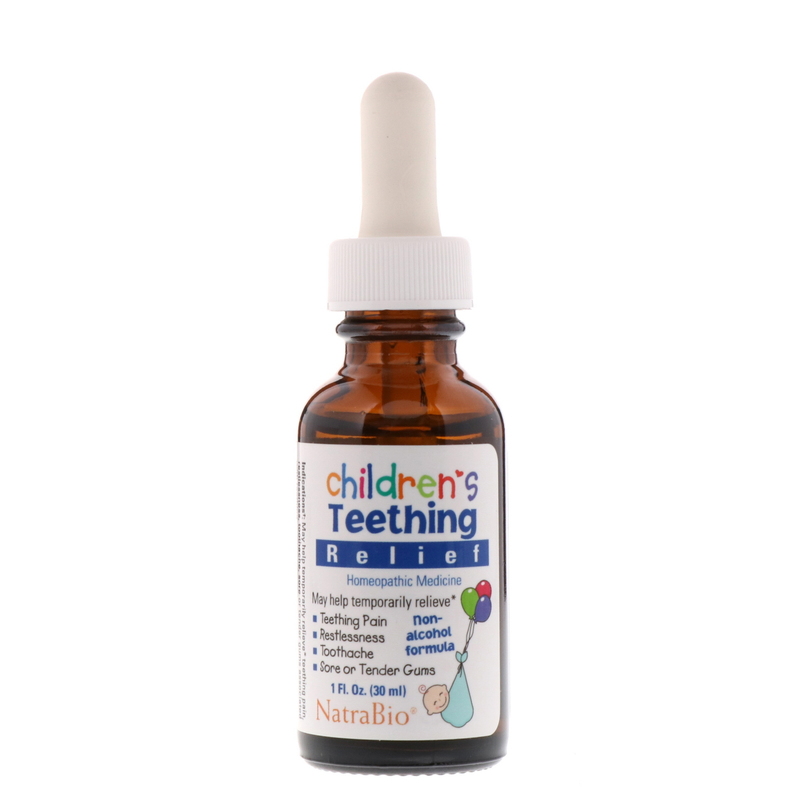 For children and infants over 4 months of age, place 0.5 ml under the tongue every 20 minutes until symptoms improve, then every 4 hours or as needed. For children under 4 months of age, consult a health care professional.